ABOUT GULF COAST AIR & HEAT, INC. 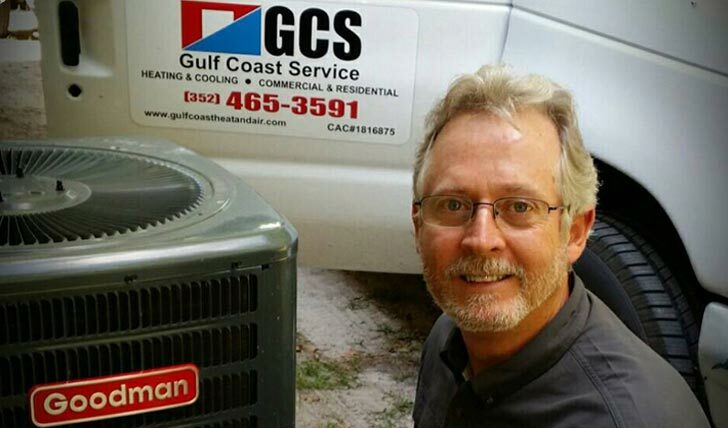 Welcome To Gulf Coast Air & Heat, Inc.
Are you searching for an honest and affordable AC company in the Dunnellon, Marion County, Citrus County and Levy County area? Are you looking for quality workmanship with professional & honest staff and fair pricing? *Gulf Coast Air & Heat, Inc. has a staff with over 20 years experience. *We guarantee all our work with a 12 month warranty on parts and labor. *We take pride to do the job right the first time. *We use quality parts that are built to last. *We Install top quality equipment with strong warranties. *We service all makes and models of air conditioners. *It is our top priority to make your home or commercial business a comfortable environment. *We take great pride that so many of our customers have referred us to friends and family members based on our quality workmanship, professional & honest staff, & fair pricing. Serving Marion County, Dunnellon, Ocala, Royal Oaks, On Top Of The World, Citrus County, Crystal River, Lecanto, Hernando, Citrus Hills, Inverness, Beverly Hills, Pine Ridge Estates, Levy County, Inglis, Yankeetown. ©2014-2019 Gulf Coast Air & Heat, Inc. All rights reserved. Reproduction in whole or in part without permission is prohibited.